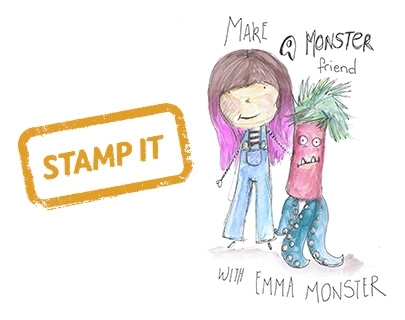 Join local artist and monster maker Emma O’Brien before and after the show to create your very own monster friend. Using the materials provided, you can create your very own friendly/scary/funny monster character that you can take into the performance or leave in Monster-ville to collect after the show. Emma O’Brien is an illustrator and soft sculptor and has been drawing and creating monsters for 10 years. She will also have a selection of her own monsters available for you to buy.